Skip the traditional stainless steel or porcelain kitchen sink and add a unique natural stone sink to your kitchen. When you choose natural stone, not only do you add a beautiful sink, you are adding a durable, functional piece to your kitchen. The durability of natural stone ensures that your kitchen sink will be in pristine condition for many years. 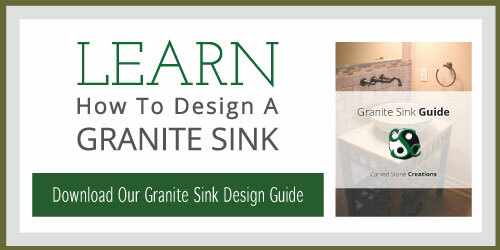 Natural stone kitchen sinks can take on various looks. If you appreciate an old world farmhouse look, and apron front style is for you. If you prefer a more traditional look, there are under mount kitchen sinks available too. As with any natural stone piece, stone kitchen sinks come in a wide variety of colors, there is sure to be a natural stone kitchen sink that fits your style and compliments your home. Below are some of our favorite stone kitchen sink designs. This two-basin natural stone kitchen sink is carved from Giallo Fantaisa Granite. The high polish finish on the interior of the basins contrasts with the unique rock face apron front for a unique look. The double basins on this sink make it a functional piece for your kitchen too. 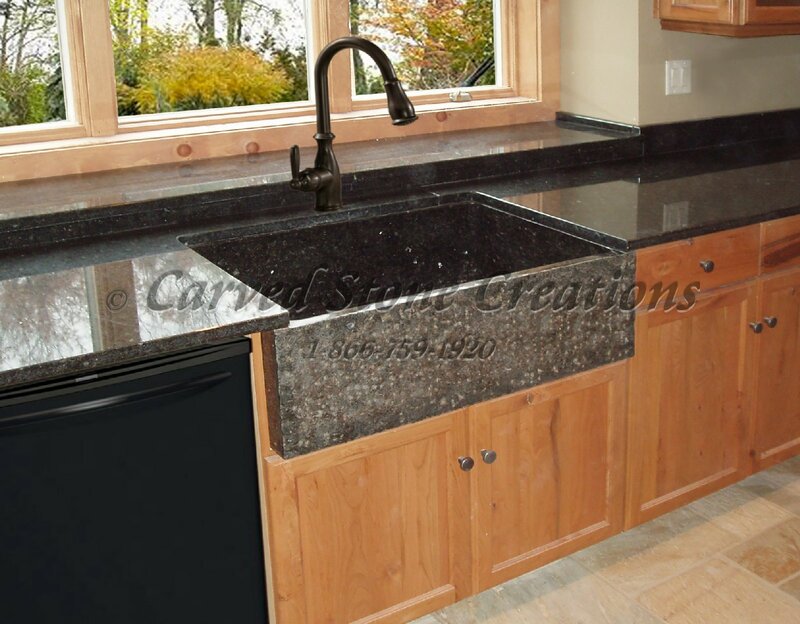 This granite kitchen sink features a deep single basin. The contrast of the highly polished basin and with the rough rock-face front creates a beautiful look that is sure to make this sink a focal point of your kitchen. For a more traditional look, consider an undermount natural stone kitchen sink. This granite sink has two basins for maximum functionality. Choose a countertop to match this sink for a sleek look or to make the sink stand out, choose a contrasting countertop color. These are just a few kitchen sink designs. Natural stone kitchen sinks can be customized to your liking, to learn more contact us.